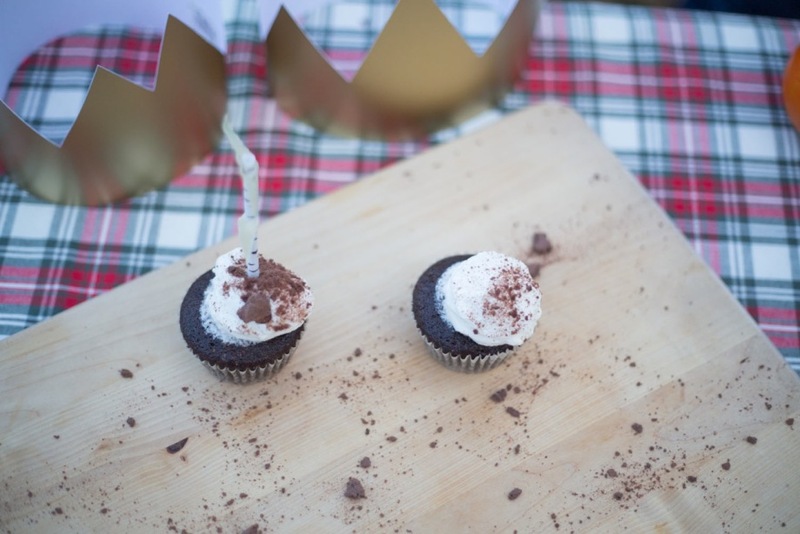 in celebration of our fourth birthday here at Arrow, we would like to share some thoughts on the subject from our dear friend, tabatha tucker. I love my birthday. I tell my friends when it is; I make sure I have something special to do that day. A few years ago, I was very pregnant with my second child on my birthday and I spent that birthday feeling very close to giving birth and thinking about when the baby would come. The next day, my daughter was born and my birthday was forever changed. I now spend my birthday preparing for my child’s birthday. Her anticipation for her birthday is infectious and outshines my own, by far. Children grow and change so quickly that each birthday marks mountains of progress and miles of achievement. 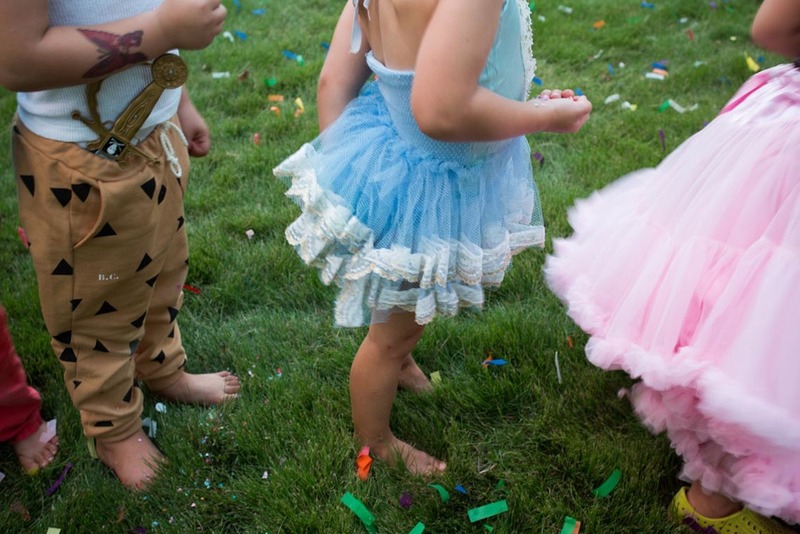 The joy and pride that children feel at becoming a new “number” is simply magical. They are eager to greet the next year with all the powers of the new age. 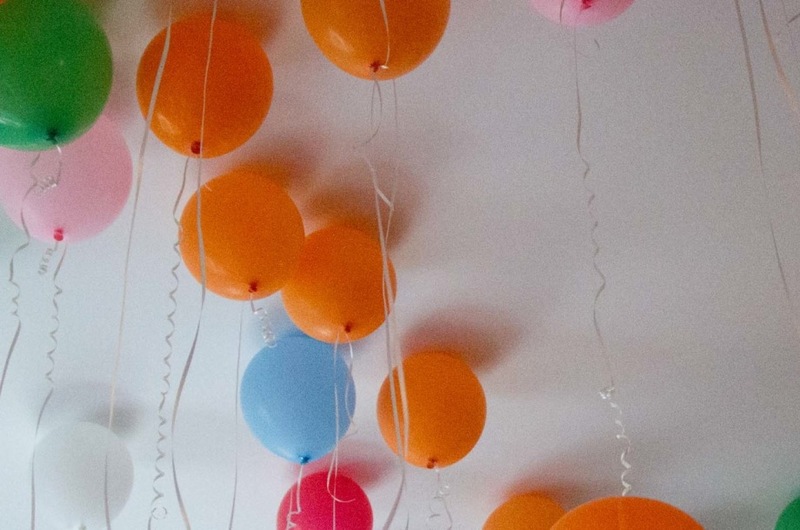 We adults create celebrations to express the magnitude and wonder of children’s birthdays but most importantly, we bring significance to our children for each change of age. Within that, we are blessed with the opportunity to celebrate the changes in us. The change in our lives brought forth by the birth of our children, from the selves we were as individuals into the selves we are as parents. My greatest birthday gift is to be a part of this special moment of hers and to look forward to all of the 364 other days along her next journey around the sun. I’ll still be 2 years old tonight. Tomorrow, I’ll be 3 years old. 3 candles on my cake. we are happy to let you know that we have another addition to our ongoing series about homemaking...this post comes from arrow's good friend, amanda kapousouz. amanda was one of the co-founders of arrow and she still continues to support us often- by playing fiddle for us at our events, making homemade things for our fundraisers, or just by being an inspiring mom. since our lantern walk is tonight, we thought we would share amanda's thoughts on finger knitting. amanda learned to fingerknit from madrona when our children were younger, as a way to make the handles for our lanterns...but, fingerknitting is a soothing and functional activity that can be enjoyed anytime...so, please enjoy! when i was in 7th grade, we were asked to complete a project. we could do anything we wanted to do, in any discipline, and present it in a school wide expo. i decided to knit a sweater. my mom knit a great deal and i wanted to join in! i knew the very basics as she’d taught me how to make little blankets for the beds in my dollhouse, and i loved french spool knitting, but i wanted to leap ahead and make something i could wear! i had seen my mom make many sweaters and ponchos for my sisters and i, and i was going to do it! i have a problem where i don’t want to progress slowly; i want to tackle the most difficult thing i can think of AND do it well! this is ironic as we’re talking about knitting! it was difficult and required more time and patience than i realized, but i did get it done and wore it lots! over the years, knitting fell to the wayside, and it wasn’t until i had children of my own and met madrona during ARROW’s ‘morning garden’ classes that i came back to the handcraft. madrona showed us how to fingerknit one day, and i had never done this: the simplest of all knitting methods! i took to it instantly, and in the following weeks, we made our own needles with her and moved on to making washcloths for ARROW. needless to say my desire to knit was fierce!! the motor memory of casting on and knitting came back instantly, and it was such a wonderful way to spend time for myself while i had little ones at home. since then, i have been lucky to teach myself new techniques, teach others in formal classes, and most recently to the teachers and my son’s kindergarten class at chase st. elementary. it has been amazing to witness a very intuitive dexterity that a 5 year old can grasp with simple fingerknitting! my own children have been doing it as early as 3 and 4, but not for very long stretches of time. so, with the upcoming cooler days, i thought it would be nice to pull out some wool and show you the very simple technique of finger knitting, with just one loop of yarn. (there are other ways to fingerknit with more fingers,but this is why i like spool knitting; it’s the same idea, but a lot easier to pick up and put down.) when you choose yarn, children really like to see the colors change as they go, so try picking a “self striping” yarn with varying colorways for fun! you may notice that you need to tighten the ends of yarn to make it snug again, and you will see a nice simple chain begin to form after a few passes. some will have a loose chain, and others, a very tight chain. this is your tension, and as you fingerknit, you will be able to achieve your desired tension by not pulling so tightly or pulling more tightly. you may use your fingerknitting for garland, a necklace, a bow for a gift, etc.! this is the second post in our new series about homemaking. this note comes from far away Maine, the beautiful place where the Wienges family now call home. madrona and jacob and their four children were involved with Arrow from the beginning, and Madrona also led our Morning Garden class for parents & children for two years. her influence on some of us is immeasurable. we miss them dearly, but are lucky to have her "with" us today. Rinne has asked me to sprinkle in some blog posts through the next handful of seasons. I am happy to be back in some form of communication with the dear families of Athens. I miss seeing all of your faces and growing little ones. For now, I look forward to spanning cyber space connecting with y’all here. With the days of summer now firmly shed, we in New England have been soaking up the crisp golden days of Autumn. Everywhere around us the beauty and bounty of the season bless us with plenty to be thankful for. 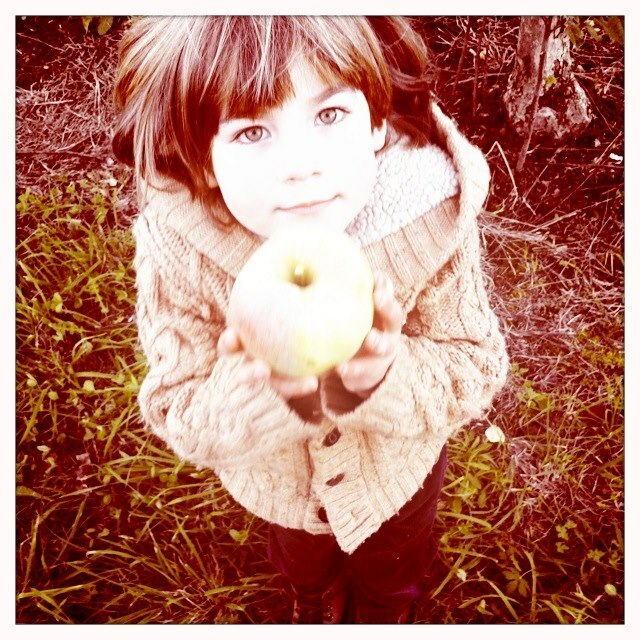 One well loved and especially delightful harvest to share with the young children this time of year :: Apples!. Apples are a lovely fruit and culture to celebrate as a community...or with your family. As we familiarize our young ones with the local tastes of the season it encourages them to embrace and enjoy where they are in the cycle of the year. 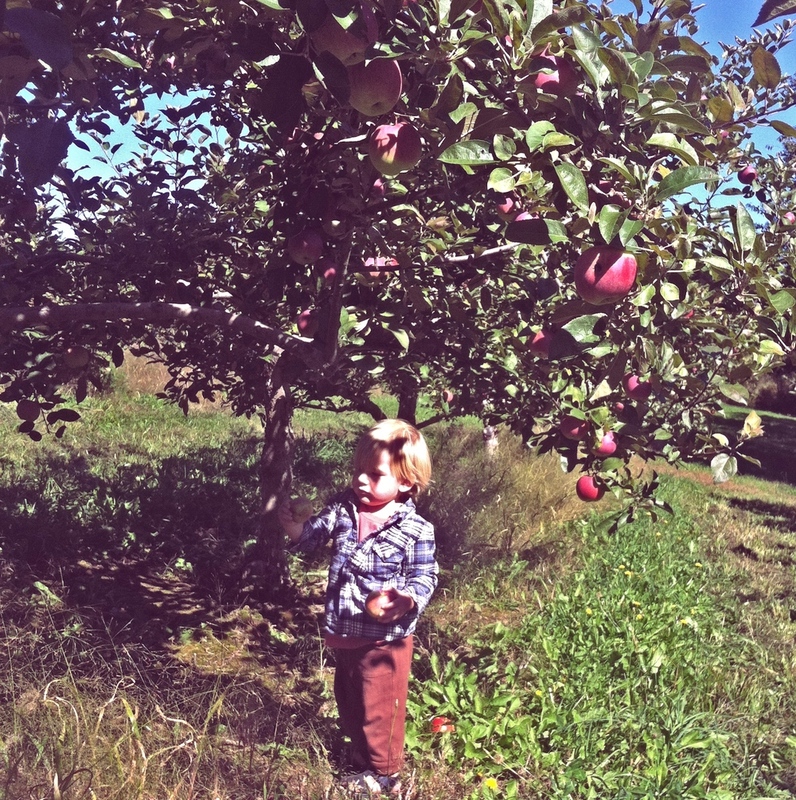 Every Autumn it is a family tradition to make a day trip to an Apple Orchard with my boys. While we were in Georgia, we would wake up early and drive up into the mountains towards Dalohnega. We would load up baskets, and a picnic and set off for the afternoon soaking up the beautiful day and strolling through the rows of apple trees. 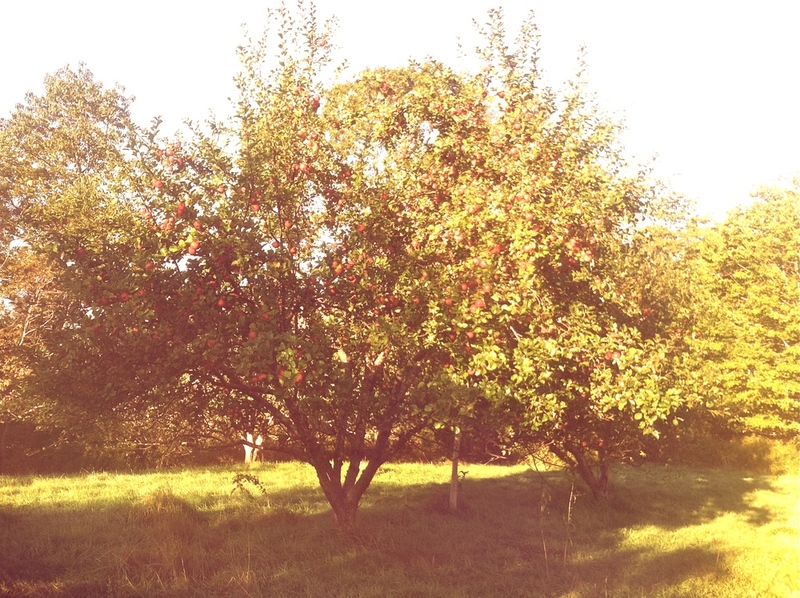 It is an endearing task to pick apples straight off the tree. To marvel at the big red fruit against the green and golden leaves. The food that we create from our hard work is some of the most nourishing and simple foods one could ask for. Apple pie, Apple crisp, Apple cider, dried apples, and one of our favorites...Apple Butter. Children quickly will decide their favorite variety and it is nice to taste the difference between tart, crisp, sweet, storing and baking apples. Often if you look around, you will find an orchard that has cider for sale as well...which is nice served warm in the cooler evenings. There are many finger plays, songs and stories as well as recipes that accompany this time of year. ARROW has also enjoyed hosting the Apple Festival the last two years and will do so again this year! 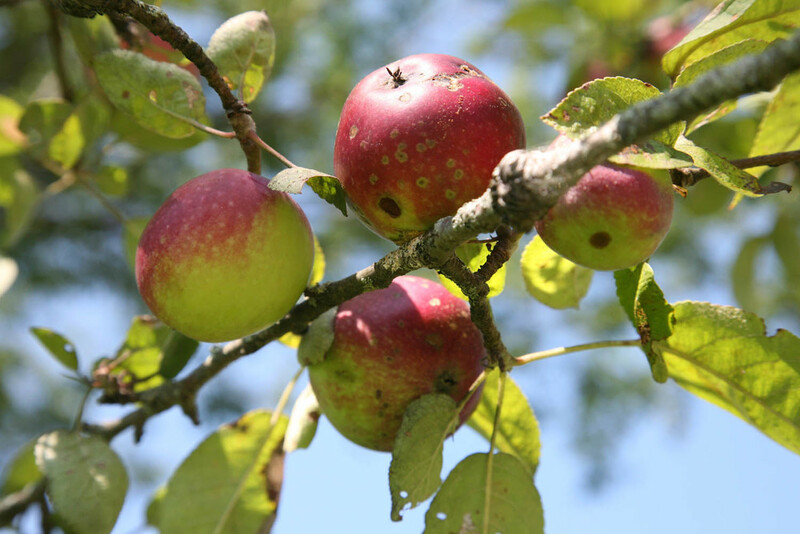 In our home a family favorite recipe for our apples is Apple Butter. It fills the home with the scent of warm cinnamon and cloves. Wonderful on biscuits, toast, oatmeal, or can be shared as a homemade gift. It is a personal joy to pull some out of the pantry in late February and recall the autumn day in the orchard. As with many things in the kitchen this is an activity to include little helpers ... especially chopping. Before chopping apples, pour apple cider/juice in a large saucepan with arrowroot powder, whisk to combine. Put on medium heat and bring to a boil. Continue to boil until the apple cider has reduced to half. The reduction of the apple cider adds an extra sweetness to the apple butter. While the cider/juice is boiling, chop the apples.. you can leave the cores intact as they add extra pectin. Also leave the skins on they will be discarded when you puree the apple butter. 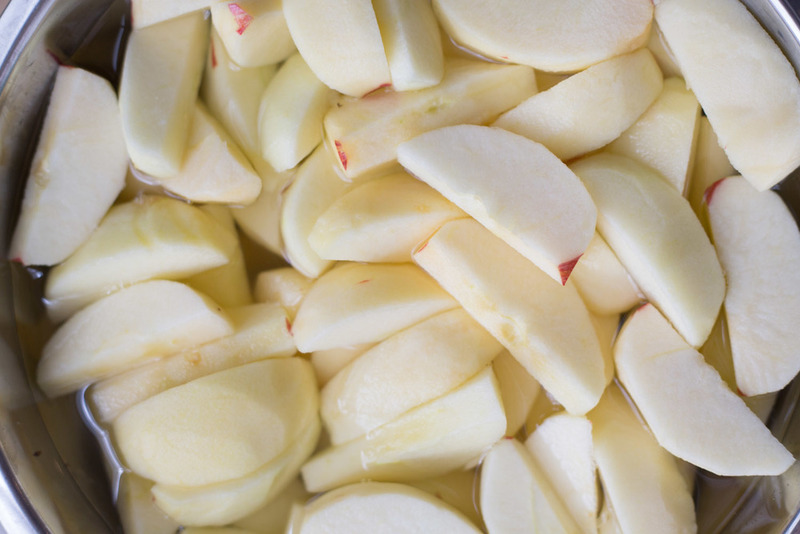 Toss the chopped apples into your slow cooker and sprinkle with spices. Pour in apple cider or apple juice. Cover, put on low heat in slow cooker for 12ish hours or overnight. Puree the apple butter with a hand mill. This is a fun task for little eager helpers. If it is still a bit runny, keep it at a low temperature and cover again, leaving the lid slightly ajar. You could also reduce the liquid by bringing the apple butter to a slight boil in a pot. Using a sweeter variety of apples will yield a sweeter result. Maple syrup or honey can be added to taste if you like super sweet, but honestly, I think the apple butter is great without the added sugars. Especially if you are going to be using it in recipes or eating on toast. “ Now we come to the Orchard. Apples shine in the sun. She stirs them and stirs them. There once was a boy who was tired of playing with his toys. So he went to his Mother “Mother, What shall I do now?” he sighed. His Mother answered “I know of a little red house with no windows and no doors and a star inside. Why don’t you go out and see if you can find it”. The boy went outside and began walking and there he came across a little girl. “Do you know where I can find a little red house with no windows and no doors and a star inside” he asked. “Why I’ve never heard of such a thing” she exclaimed. “But go ask my father. He is a farmer and knows lots of things”. The girl pointed to the field behind her farmhouse. The boy walked through the rows of corn and when he reached the farmer he said “Do you know where I can find a red house with no windows and no doors and a star inside”? The farmer raised his brow, “why I’ve never heard of such a thing” he replied. “Go up the hill to Grandmothers house. She has lived a long time and may know the answer”. The boy climbed up the hill and saw Grandmother sitting on her porch. “My mother told me to look for a red house with no windows, no doors and a star inside”. Grandma crinkled her brow. “Why I’ve never heard of such a thing” she answered. “But the wind has been around a very long time, it goes everywhere and has seen just about everything”. The boy ran all the way home with the apple in his hands. we are beginning a new series today that focuses on homemaking. we have asked some of the families at arrow to share different parts of their family life, in hopes that their experiences will inspire you in some way. in preparation for these occasional posts, we thought we would share a video that a few of us have passed back and forth over the years...amanda first shared it with me. when arrow first began four years ago, we had a regular group of families who gathered with their children a morning or two a week, with a goal of the parents doing some sort of handwork while the children played together. we fully admit that sometimes our knitting projects lay in a pile while our attention was more focused toward the littles, but *sometimes* there were moments when we would look around the room and the children would be playing happily and we were able to be involved with our handwork, be it knitting or something similar. those moments were special. to see the children happy was most important, but to have that time with the other parents (mamas & papas too) was an unexpected side-effect. we now reminisce about it, as those early children have now grown older and graduated from arrow, but it is a deeply cherished memory for me, one of many on my own winding path of motherhood.